In a recent article posted by USA Today, they shared the new trend of candidates and new hires ‘ghosting’ interviews and jobs. Due to this troubling new trend, we’ve decided to write an in-depth post defining the practice and explaining why it occurs. We’ll also be offering up our own advice on tactics employers can take to reduce the risk of candidates ghosting while keeping them engaged. 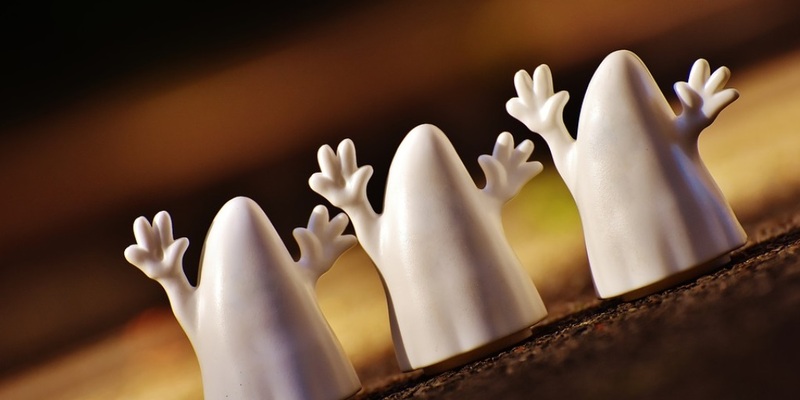 Ghosting is the practice of candidates/employees blowing off scheduled job interviews, accepting offers but not showing up the first day, and even disappearing from existing positions, all without giving notice. Obviously, a disturbing trend and one that’s made even more alarming by how frequently it occurs. According to that same USA Today article, many businesses are reporting that 20 to 50 percent of job applicants and workers are no-shows. Obviously, we can’t presume to know why each candidate or employee decides to ‘ghost’ a position. However, the most accepted theory suggests that the strong job market – in which we are enjoying an unemployment rate of just 3.8 percent – may be the biggest culprit. Simply, there’s just so much opportunity available for each job seeker. And that’s especially true for those within the IT industry where the well-documented IT skills gap consumes the profession. A more nefarious explanation, though, would be that candidates are ghosting because it has been done to them. For example, and as mentioned in the USA Today article, during and after the Great Recession of 2007 to 2009, many firms ignored job applicants and never followed up after interviews. Of course, when employers receive an abundance of resumes it becomes very difficult to respond to every inquiry. The problem, though, is that many job seekers don’t empathize with that practice so are now giving employers a taste of their own medicine. Communicate – This is extremely important. Having great communication will help demonstrate your respect for the candidate. Be honest with your candidates about timelines and process, and set expectations about when they can anticipate hearing from you. Then follow up! A lack of communication could lead to ‘ghosting.’ So keep in contact with your candidates, even the smallest amount of feedback can help keep them engaged until you’re ready to make a decision. Sell Your Company – This speaks just as much to what you’re able to offer (salary, benefits, work schedules, etc.) as much as it does to your company culture. You want your position to be the most desired. How many candidates do you think are ghosting their dream jobs? So in order to pull this off, you need to be putting on your sales hat. Explain the importance of the position, show the effects it’ll have, and describe the expected career arc for the position and how they, the candidate, can advance their careers within the company. Then sell them on your company culture. Show them how your organization does business, how you interact with one another, and how you interact with the outside world. It’s been proven that a strong company culture is an allure for candidates and has helped to reduce employee turnover rates. Of course, doing all of this on your own can be quite the challenge. That’s why partnering with a staffing firm, like PSCI, would be in your organization’s best interest in order to keep your projects on-time, under budget, and fully staffed.